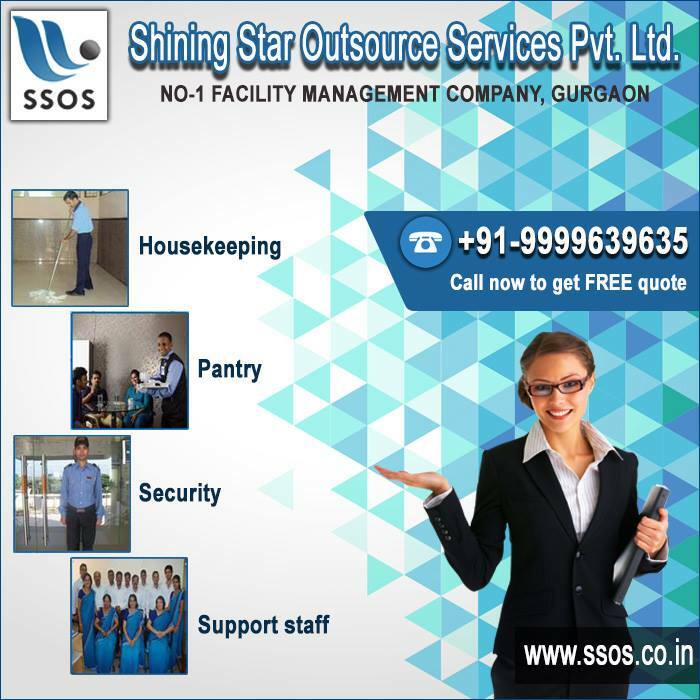 Now you can get affordable housekeeping service in gurgaon from SSOS (Shining Star Outsource Services Pvt. Ltd.) for Office, School, Shopping Mall, Hospital, industry, Bank etc. We are Expertise in Commercial as well as Residential housekeeping service. Our facility management company gurgaon has nationwide network of branches. We have 17 years of successful service. 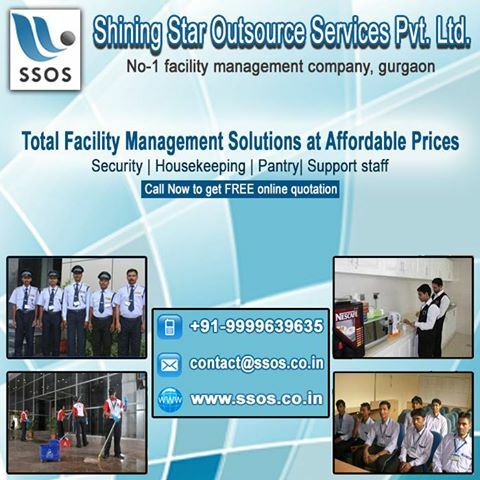 We providing facility management services gurgaon to Govt. as well as private sector clients and they are pleased with our services. We have experienced staff that is trained by our professional instructors. Our Staff can operate any sweeping machine and vacuum cleaners easily. We give assurance of spotless cleaning with 100% sanitation. So contact us today and to enhance the sanitation level in your workplace. Please talk to our customer care executives for best quotation because we understand our clients better. 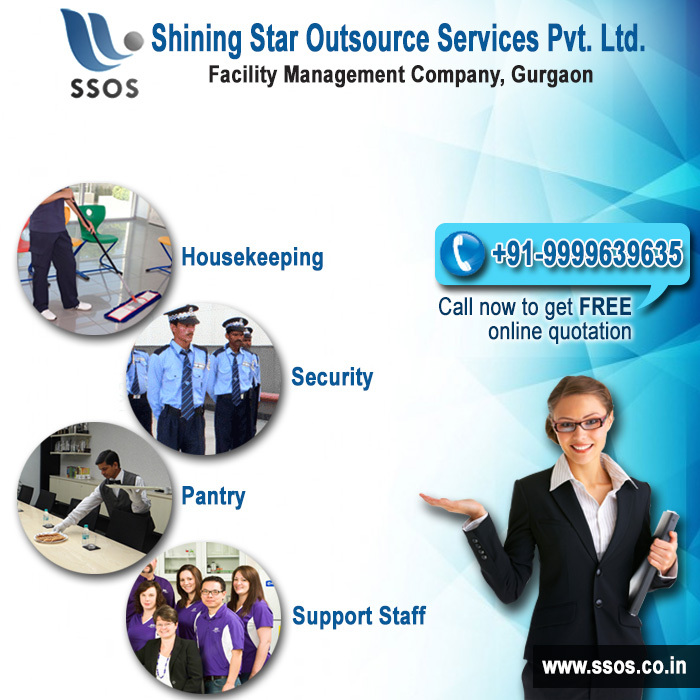 Call us on +91-9999639635 or log on to www.ssos.co.in for best facility management services in gurgaon.